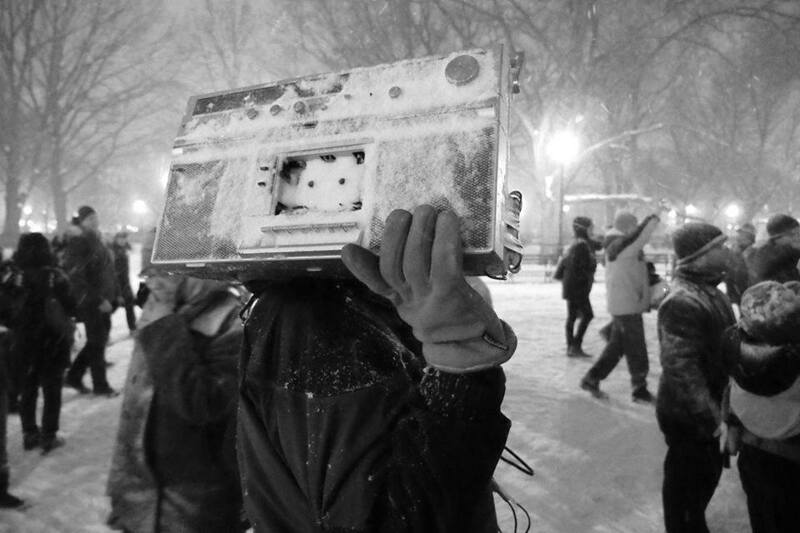 Phil Kline’s Unsilent Night is a free, outdoor participatory sound sculpture. The composition is created when many individuals of all ages simultaneously play one of four tracks on mobile devices played through a roving swarm of speakers carried through city streets. Participants will meet on the steps of The Kentucky Center for the Performing Arts at 6:30PM sharp and make our way around downtown.